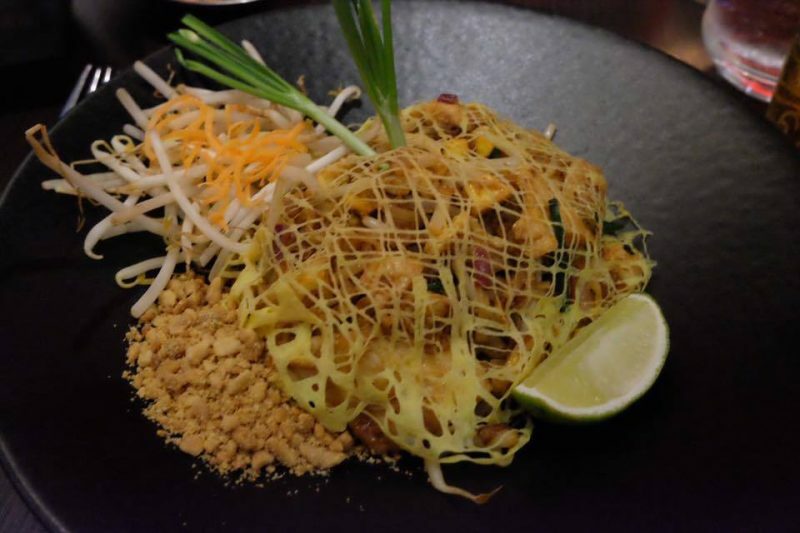 Last week the lovely Emma Inks and I went to check out the delicious food at Mango Tree in Belgravia and meant we finally had time for a long overdue catch-up! Mango Tree specialise in Thai food, and like their original restaurant in Bankok, they bring in foods from four main culinary regions: rich and mild dishes from the north, spicy food from the east, mild dishes influenced by the Chinese cooking style from the central region, and hot and spicy food from the south. 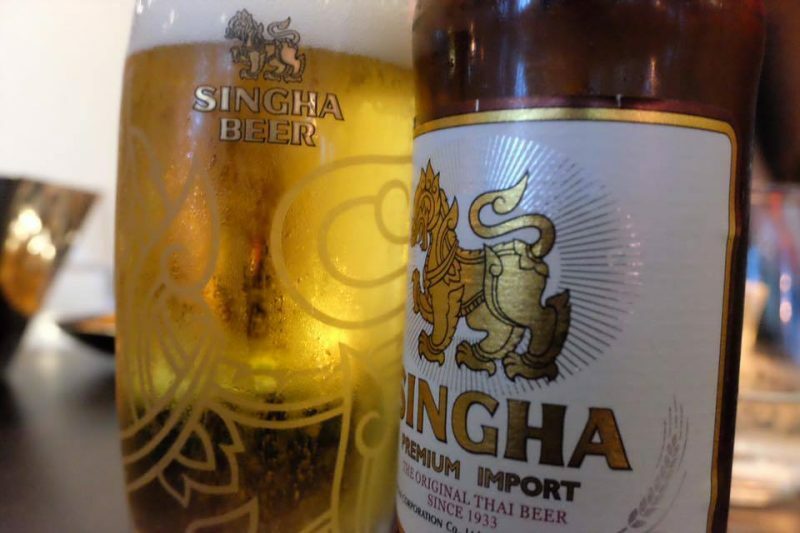 Having appeared on BBC1’s MasterChef and recently mentioned in chapter 10 of J.K. Rowling’s novel The Silkworm as a Thai institution in Belgravia, we knew we were in for some good grub! We both ordered a beer to go with our meal, as we thought it would be rude not to! 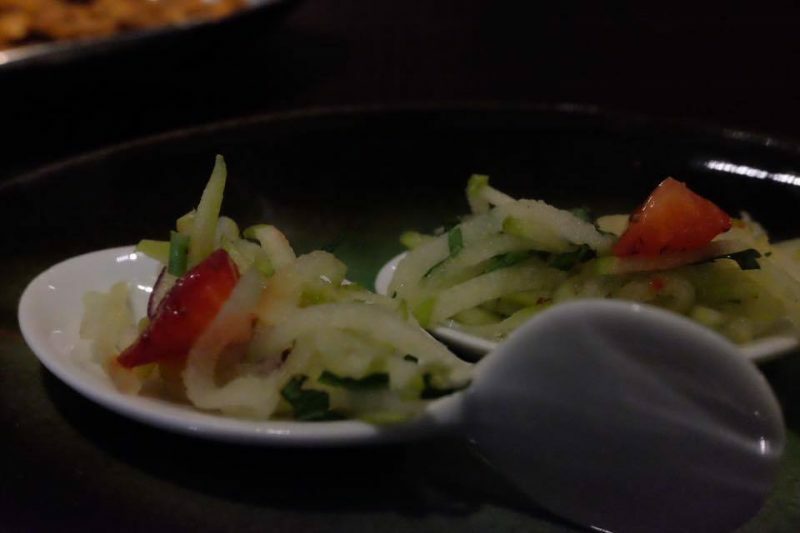 We began with a palette cleaners with cucumber, onion and strawberry… sounds odd but it worked really well! 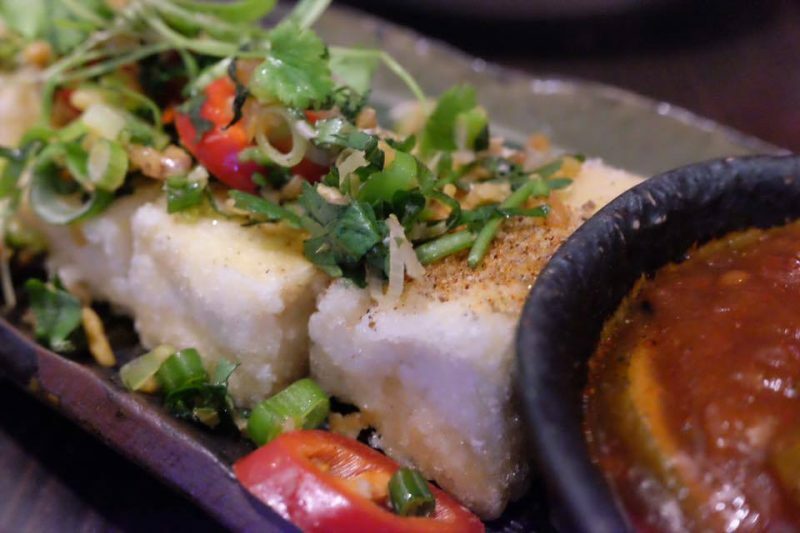 The first was deep-fried tofu, served with spicy peanut sauce. I’ve only recently started to eat Tofu and this was the nicest I’ve had so far; it was crispy on the outside and soft on the inside, which went down a treat. 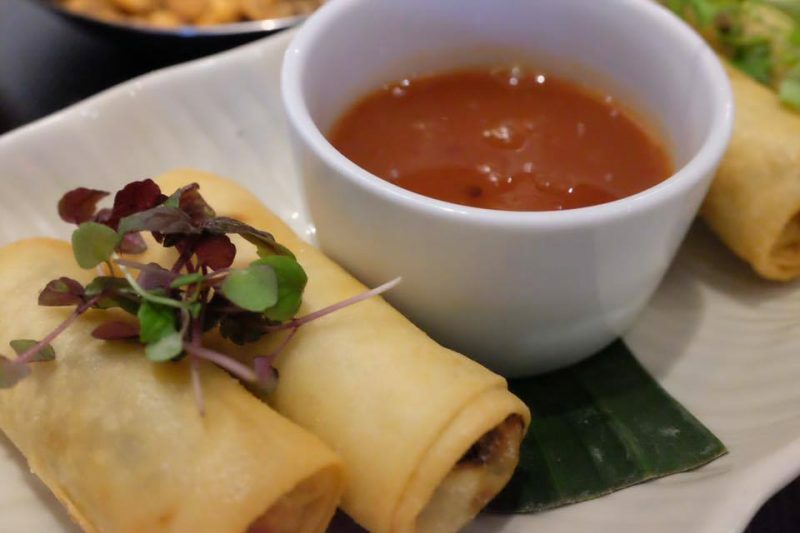 Our second starter was fairly traditional; mixed vegetable spring rolls, deep-fried and served with sweet chilli sauce. These were scrummy too! 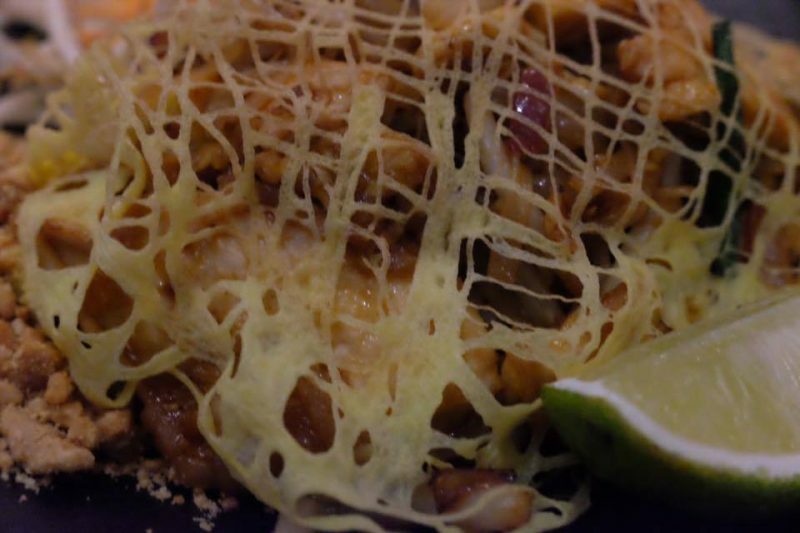 I have to say, it was by far the best Pad Thai I’ve had in a very long time. I find lots of place skimp out on the chicken and the sauce isn’t enough so it becomes quite dry but this was filled with chicken and perfectly saucy! We didn’t try dessert as we were so full up but the menu did look promising! 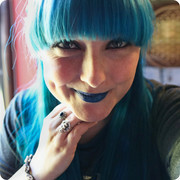 The service we had was second to none; the staff were so attentive and polite. And the band playing the soundtrack to our evening were a welcome surprise. 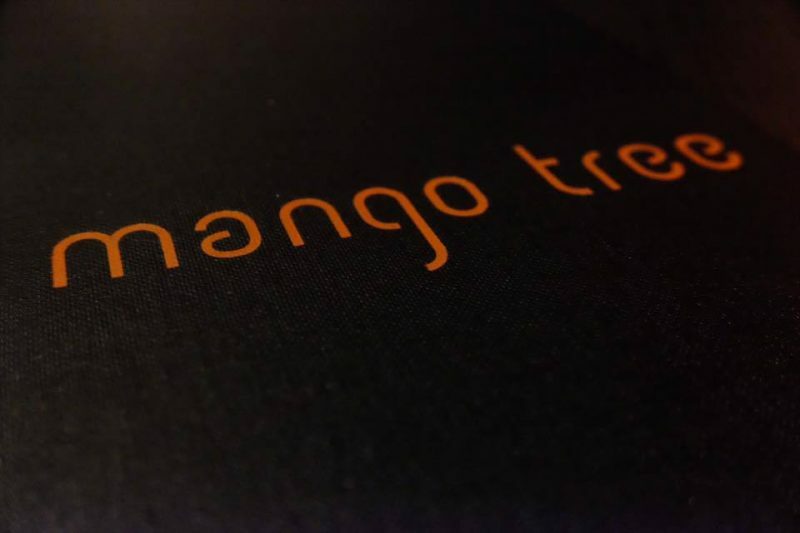 Have you eaten at Mango Tree? If not, why not?! This food looks amazing, I love Thai food!